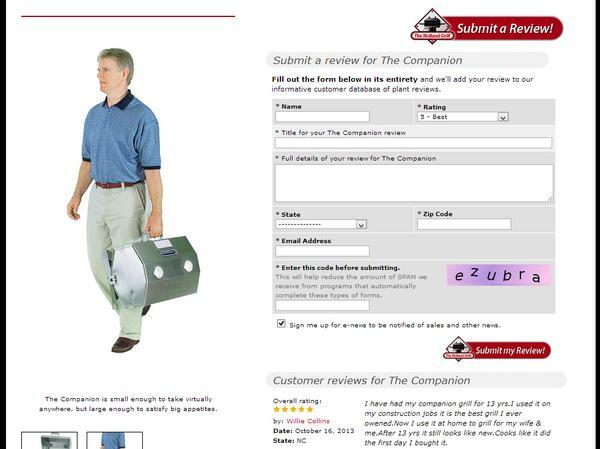 If you notice in this example, we put in the product name (The Companion) in two places in the form; 'Title for your The Companion Review' and 'Full details of your review for The Companion'. 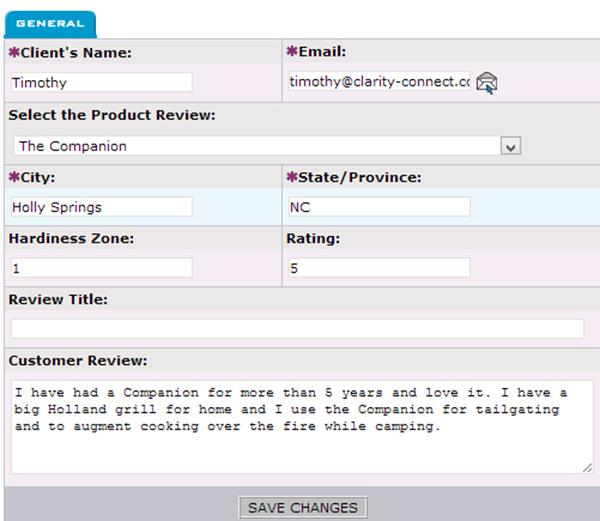 For VirginiaPeanutCompany.com,we implemented a quick review function, where after logging in, the customer can select from 1 to 5 stars and that's all there is to it. The next images is a close-up of the reviews on this product page. 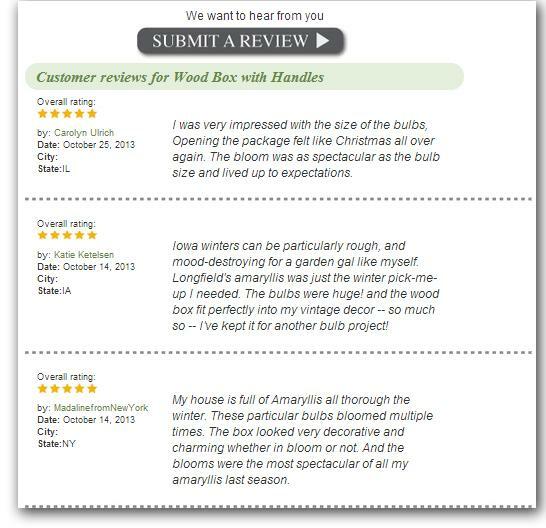 This is a close up of the customer reviews from a product on www.longfield-gardens.com. According to a number of different studies, having real consumer reviews for your products significantly improve sales. 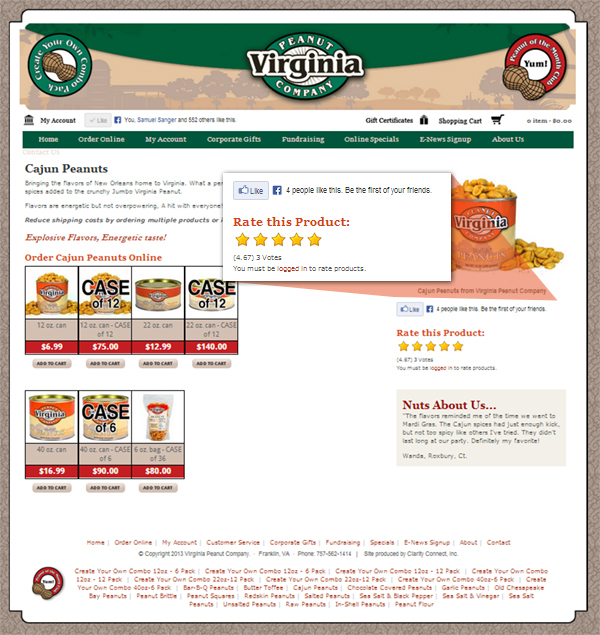 Add product reviews to your site to help increase your sales. There are a number of different ways we can implement the 'Review ate This Plant' functionality on your site. Please refere to the images at the right for a few examples. With the Customer Reviews Editor tool you can add, edit and delete customer reviews. Please see image 3 for a screen shot of the tool. We can also implement similar functionality for your plants, clarity-connect.com/ReviewThisPlant.